Logan joined the agency in 2016 where he specializes in new business production for personal, business and farm lines. A graduate of Miami University, he earned a Bachelor of Science in Entrepreneurship from the Farmer School of Business. 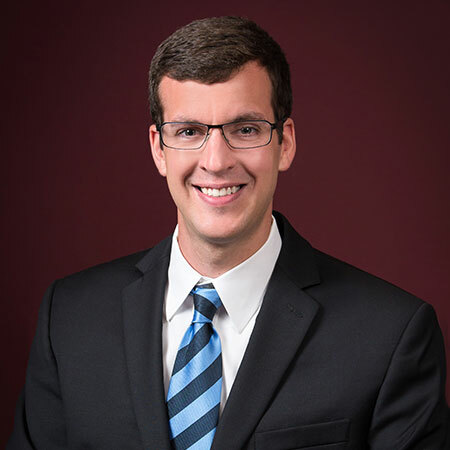 Professionally, Logan completed a 2-year fellowship with the Ohio Mutual Insurance Group in Bucyrus giving him experience in underwriting, claims and loss control practices. He proudly holds the Chartered Property Casualty Underwriter (CPCU) designation. Logan is involved in various groups in the communities he works and lives including Crawford County Young Professionals, Marion County Young Professionals, Marion Mentors 21 and St. Christopher Catholic Church of Grandview Heights. He also serves on the governing board of United Way of Marion County and is a Chamber Ambassador for the Marion Area Chamber of Commerce. Logan and his wife Kayla reside in the Grandview neighborhood of Columbus. They enjoy traveling, running, and spending time with their friends and family.